at the University of Arizona, Tucson, May 3-6, 2012. This 10th international symposium will focus, once again, on a broad, fundamental topic relevant for the Middle Ages and Early Modern Time, "East Meets West." 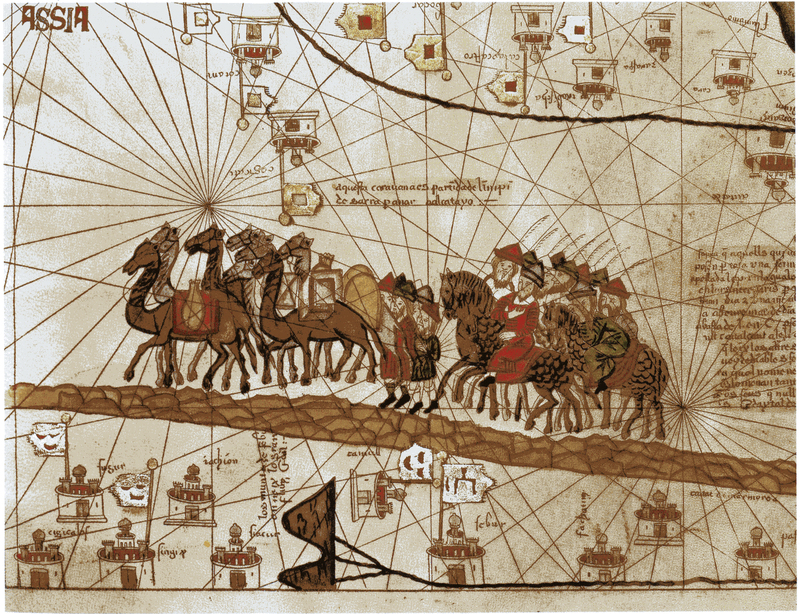 The cultural, military, political, religious, and economic development of both continents was deeply intertwined with each other, sometimes in an aggressive, hostile fashion, but sometimes also constructively in a give and take manner. Our textbooks are too much filled with images of complete opposition and mutual rejection, whereas exchange and mutual interest were probably much more the case than not. We want to collect a wide variety of approaches and contributions to this topic in order to gain a solid and broad-ranging understanding of the variety of contacts and exchanges between East and West. I particularly would like to invite art historians, economic and military historians, and religious scholars to submit proposals. This is a self-sustaining academic symposium. Participants are expected to secure travel funds and other resources to cover their costs. Selected papers will be accepted for publication in a planned volume (de Gruyter; see my webpage on Fundamentals. Each contributor to the volume will receive a free copy and can negotiate with the publisher reduced prices for any of the volumes in our series. 1. Bus no. 6 to downtown ($1.25), Ronstadt Bus Depot, from there you walk west on Congress to Granada, turn left (south) to the I-10, through the tunnel, and the hotel is right there. Or you can call the hotel at 239-2300. Alternatively, you can walk down Congress to the I-10, pass under it, then turn left and walk along Frontage Road to the Hotel (max. 15 minutes). 3.regular taxi (ca. $25-$35. one way). I am pleased to acknowledge the support of the University of Arizona Bookstore. Furthermore, I am very grateful for support from the Departments of German Studies, French and Italian, Spanish and Portuguese, Russian and Slavic, Religion, Africana, Sociology, Anthropology, and Middle East Studies, and from the Dean of the Humanities.